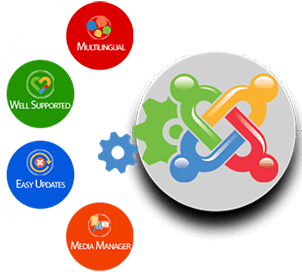 Joomla is the popular open source management system which has many advantages to offer. This CMS platform includes, RSS feeds, Page caching, blogs, polls, news flashes and many other useful features. These features will help in setting up a highly interactive websites that meet the modern world demands. With the support of large developer community, the Joomla open source strategies will help in managing large volumes of web content dynamically. The core system of Joomla can be used for making this online software effectively and widely. Sky infoway has the team of skilled developers who can build many modules and extensions which fit into websites seamlessly. Sky Infoway has a pool of Joomla designers and programmers, which has expertise in development of bespoken Joomla templates, bespoken Joomla websites, simple Joomla static websites, responsive Joomla websites, Joomla CMS websites, Joomla eCommerce websites, and a lot more in contemporary concepts. Therefore, the customer base of Sky Infoway has expanded throughout USA, Canada, Australia, and European countries. Its deliverables have applauded among the clienteles across the globe and you can find some glimpse in the portfolio where 100+ projects waiting for your eyes to traverse. What makes Sky Infoway the ideal service provider for Joomla Website Development Services? We will offer you responsive layout and responsive design so you can cover vast audience of mobile devices users.